HOUSTON (KABC) -- Local members of the Society for the Prevention of Cruelty to Animals Los Angeles are in Houston now, caring for post-surgery animals affected by Hurricane Harvey. They arrived over the weekend and are now taking care of more than 300 animals at the Houston SPCA. 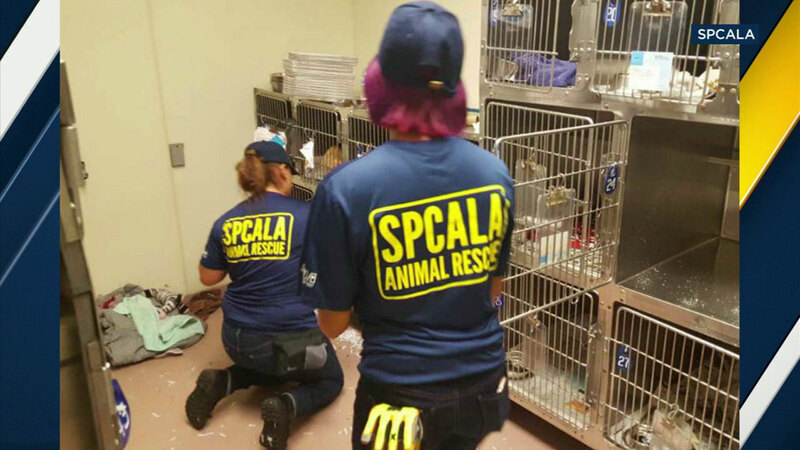 The SPCA's Los Angeles and Houston chapters have also worked together in the past - helping animals affected by hurricanes Katrina, Rita and Ike. SPCA LA intends to send more personnel to Houston in rotation over coming months as the recovery effort continues. The organization's Disaster Animal Response Team is also on standby in Los Angeles to help animals affected by the La Tuna Fire. A member of SPCALA cares for a rabbit affected by Hurricane Harvey in Houston.